Jackie is a lawyer with a focus on environmental law. Jackie has a strong service ethic – she has been a member of the Dunedin Rotary Club since 2005. She is a Paul Harris Fellow and past President and Assistant Governor, trustee of 3 club charitable trusts, past Chair and current member of her District’s Rotary Australia New Zealand Student Exchange committee, and past Director of RNZWCS Limited (Rotary NZ World Community Service, which distributes emergency response kits within the Pacific). ShelterBox New Zealand was founded in her Rotary District 9980. 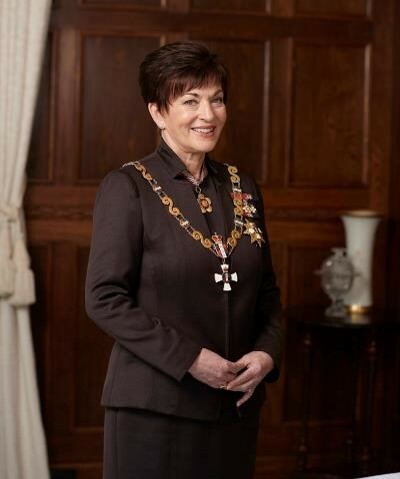 Jackie was appointed to the Board in March 2016, becoming Chair in July 2016. Guy was appointed to the Board in March 2016 and became Vice-Chair in July 2016. He is an Engineering Geologist. 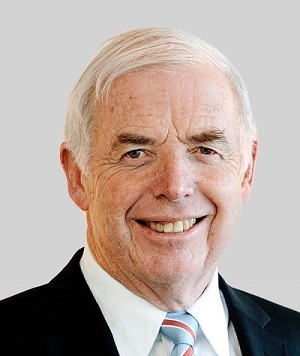 He has a strong interest in corporate and NFP Governance and is a keen member of the Institute of Directors. He is a trustee of his company’s charitable trust (The ENGEO Dreamtrust http://www.engeo.co.nz/dream-trust/) which helps people across NZ. Guy served as an elected member of the New Zealand Geotechnical Society board from 2013 to 2017 for two terms and continues to have a keen interest in serving the engineering industry and raising the collective bar. Emma works with Civil Defence Emergency Management, in which her everyday role is planning for emergencies, and working with communities to support their emergency planning. It was both living through the Canterbury Earthquakes and later completing her Master’s degree in Disaster Management at the University of Canterbury that really developed her passion for helping those in need during emergencies. Emma is excited to be part of the team supporting communities all over the world, where she has been Secretary since January 2018. Luke is an Accountant at PwC in Christchurch where he is passionate about helping local organisations thrive and grow their impact. He is a current member of the Global Shapers South Island Hub and was previously the Vice President of the University of Canterbury Students association representing over 12,000 students while ensuring their varying needs were met. Luke is a keen outdoorsman and enjoys exploring what New Zealand has to offer. As a result of spending time in the elements and his experience post-Earthquake in Christchurch, he appreciates the importance of shelter and equipping families with the tools they need to survive and bounce back post disaster. He is excited to assist and help ShelterBox be the change in the lives of families around the world when they need it most. Gabriela, originally from Slovakia, has a Master’s degree in International Business and Economics, with a focus on non-profit organisations, specialising in creating partnerships between non- and for-profit companies. She studied in Czech Republic and Denmark, before travelling to New Zealand to finish her masters. Gabriela gained further experience working in various marketing positions in Northern Europe and Australia. Before joining ShelterBox, she also volunteered for several charities, helping them to set up an international presence. She truly loves our planet and is dedicated to help, in as many ways as possible, to protect both its environment and its people. Claire is a human rights lawyer focusing on human rights advocacy, international law and children’s rights. She is completing her PhD (focusing on international commercial surrogacy and the rights of the child). Claire also teaches as a visiting lecturer at the University of Auckland Law School and is a member of an international experts group working on prioritising child rights in international surrogacy. She is also a trustee with P3 Foundation. Previously, she has been employed as the human rights solicitor for the Ministry of Social Development, as child rights and advocacy officer for UNICEF the Netherlands, and as senior advisor to the Chief Human Rights Commissioner and Executive Director of the NZ Human Rights Commission. She lived in the Netherlands 2010- 2012 with her husband where she took up a Rotary Global Grant Scholarship, studying for an Advanced Masters in Public International Law specialising in Peace, Justice and Development. It is through her involvement with Rotary that she first became aware of ShelterBox. Islay was appointed in November 2016. Her day job is as Marketing Manager at Kilmarnock, one of New Zealand’s leading social enterprises. Their core purpose is to change attitudes about intellectual disability and develop real pathways to employment. She is undeniably passionate about improving the lives of people around her; a passion that extends to all areas of social injustice, vulnerability and empowerment. A combination of experiencing natural disaster and a desperate desire to combat the impacts of climate change inspired Islay to get involved in ShelterBox. Paddy joined the ShelterBox New Zealand Board in May 2015, having been Rotary District 9970 Coordinator since May 2014. His involvement with ShelterBox goes back to 2001, when he was in the Arbroath Rotary Club in Scotland. He served with the Royal Marines for 27 years and on retirement as an Officer, worked for the Corps as a Civil Servant Estate Manager for 13 years at the Royal Marines Base in Arbroath. He believes his military background has been very useful when working with ShelterBox, certainly understanding the deployments, operational tasks and the ShelterBox Response Teams. He is immediate past President of the Rangiora Rotary Club. ShelterBox New Zealand is a registered charity with Charity Services; charity registration number CC49035 and is an approved donee organisation for the purposes on the New Zealand Income Tax Act 2007. ShelterBox’s ultimate decision making authority is its board, which has full legal responsibility for running of the charity. The trustees act as the directors of the organisation. Trustees are appointed in light of their commitment to ShelterBox and their experience and skills which enable them to undertake the responsibilities of trusteeship of a large and complex charity. ShelterBox recognises the responsibilities placed by law on a charity trustee and provides a full programme of induction training in all appropriate matters. This includes governance and compliance for all new trustees, as well as refresher training for existing trustees in order to keep them up-to-date with current legislation. We’ve started something big at ShelterBox. 2016 marked the beginning of a new 10-year strategy to transform our charity. The plan is ambitious, but it focuses on clear targets and a clear direction. And it’s working.